Summer is when the kitchen garden is in full bloom. It’s a joy to look at as well as to taste. Tom enjoys being able to pick and sample his own produce giving him full control of what makes it onto the Barton House menus. He oversees the whole process from the planting of the seeds through to creating delicious dishes out of the produce harvested. 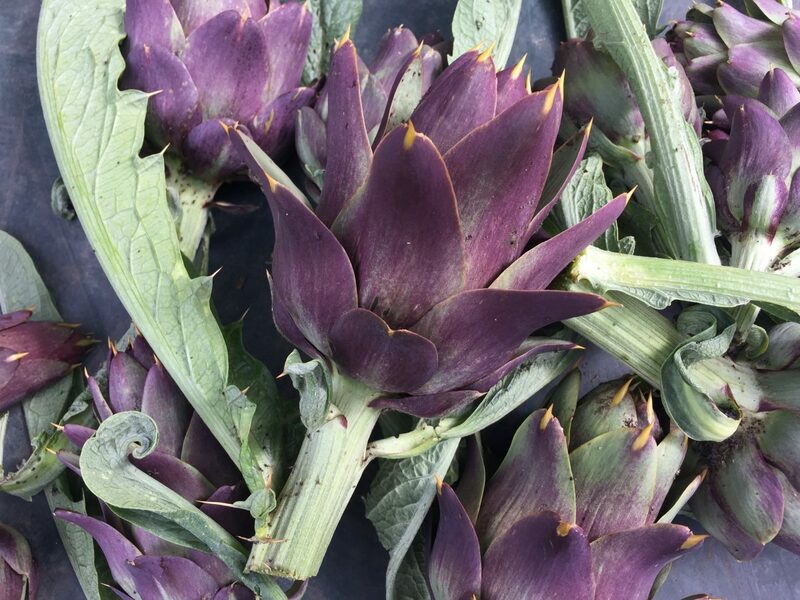 The globe artichoke one of the more intimidating looking vegetables it is hardly surprising given that it is a variety of a species of thistle. The flower buds are actually the edible part, with the heart being the edible centre. The choke is the inedible part. Artichoke makes a wonderful accompaniment to many types of dip. Tom serves his with a classic Hollandaise or a garlic aioli. 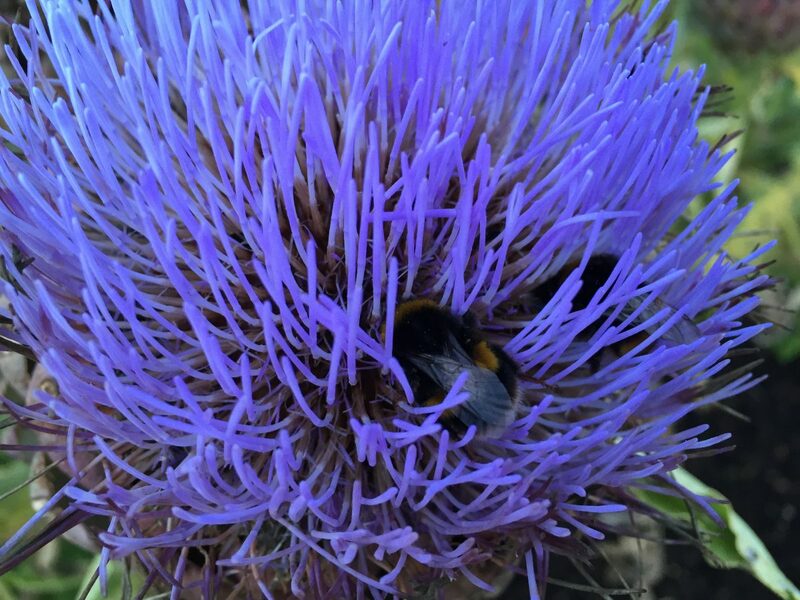 Artichokes also produce some wonderful flowers which look lovely in a vase in the house. 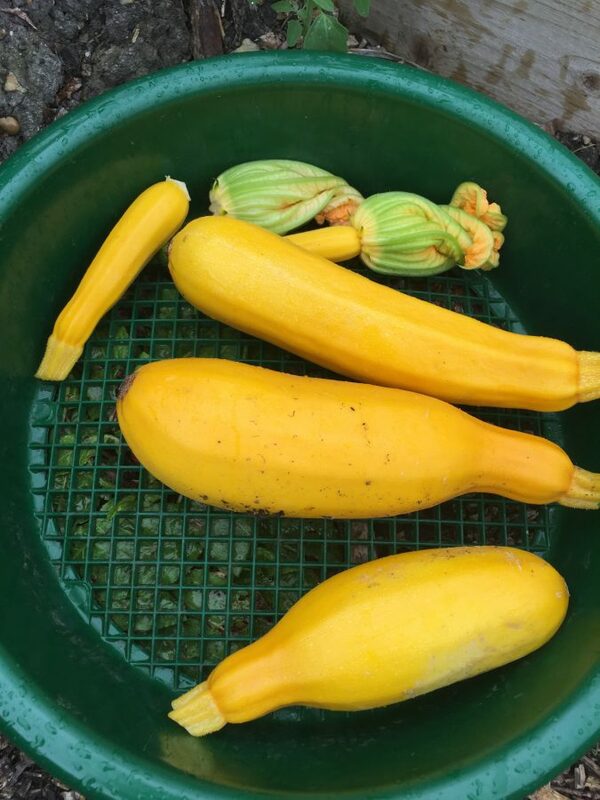 Also in season are Courgettes, also commonly known as Zucchini, they are a member of the squash family. 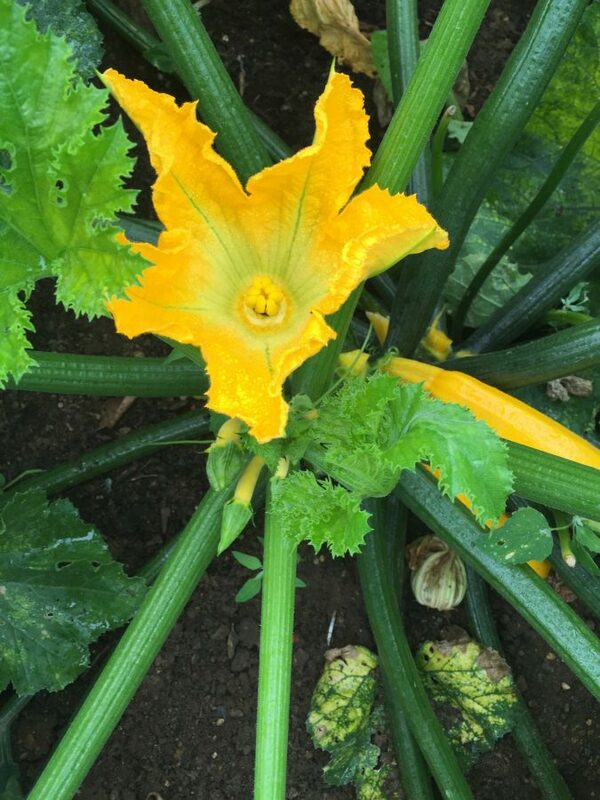 Courgettes can be used in many different ways and don’t forget to the Courgette flower is also edible! Place over a low heat and bring to the boil then simmer for 5 minutes. Then you want to transfer the fruity mix onto the chilled plate it should have started to take on a slightly gelatinous texture, if its not reached that point yet then return to the pan for a few more minutes until it does. After this skim the surface of the jam removing any scum adding a knob of butter and stir. Let the jam set and then transfer into jars.